Take a ride in a warbird! Here are links to various organizations that actively operate warbird aircraft, including pay-per-flight operations and museums. We've also listed a few miscellaneous other ways to get some hands-on flight experience with these exciting airplanes. Click on one of the links below to speed your way down the page. Air Action -- Warbird adventure flights near Sydney, Australia. Fly an L-39, T-28, Tiger Moth or Yak-52. Airborne Aviation -- Tiger Moth and Chipmunk flight training, and scenic / aerobatic / formation flights in Sydney, Australia. Air Combat Australia -- Fly a MiG-15 in New South Wales, Australia. Air Combat USA -- Fly a Siai-Marchetti SF-260 or other aircraft as a fighter pilot for a day in Fullerton, California. Air Group 1 -- Fly in a SNJ-5 / Texan over beautiful San Diego, California, USA. Aluminum Overcast -- A historic flight experience in EAA's B-17 Flying Fortress. American Aeronautical Foundation -- Fly in a B-25 Mitchell or C-47 Skytrain. Australian Jet Adventures -- Fly a BAC-167 Strikemaster jet in Melbourne, Australia. Barnstormers Aero Services, Inc. -- Flights and instruction in T-6s, Stearmans and more in Centennial, Colorado, USA. Bay Area Warbirds -- Flight training in a North American T-6 in the San Francisco Bay area, California, USA. Bay Aviation -- Scenic flights and instruction in a Fairchild PT-19 in Topping, Virginia, USA. Bi-Plane Adventures, Inc. -- Fly an N3N-3 biplane in Kennesaw, Georgia, USA (near Atlanta). Biplane Adventures, Ltd. -- Fly an SNJ-4 (T-6) in San Diego, California, USA. Also offers biplane sightseeing flights and air combat flights. Biplane Rides -- Fly a Stearman or Waco biplane in long Beach, California, USA. Biplane Rides Atlanta -- Sightseeing tours and aerobatic flights in a Boeing PT-17 Stearman, a Waco biplane, and a T-6 Texan, all in Atlanta, Georgia, USA. Brown's Biplane Rides -- Sightseeing, aerobatic, and instructional flights in a PT-17 Stearman biplane in Warrenton, Virginia, USA. Classic Wings -- Stearman biplane flights at Blenheim, New Zealand. Code 1 Aviation -- L-39 Albatros jet training and familiarization flights. Commemorative Air Force B-29/B-24 Squadron -- Book a ride in the CAF's B-29 or B-24. Commemorative Air Force, SoCal Wing -- Flights in a P-51 Mustang, T-6/SNJ Texan, or PT-19 Cornell in Camarillo, California, USA. Dixie Wing of the Commemorative Air Force -- Offers flights in a variety of vintage aircraft. EAA Fantasy Flight Camp -- Spend two days learning about the history of the B-17 before actually flying in one in Oshkosh, Wisconsin, USA. Fantasy of Flight Museum -- Various aircraft flights in Polk City, Florida, USA. Fighter Command -- T-6 Texan flights in Front Royal, Virginia, USA. 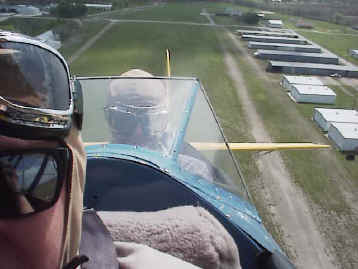 Florida Biplanes -- Take a flight in a Waco UPF-7 biplane along the Florida spacecoast. 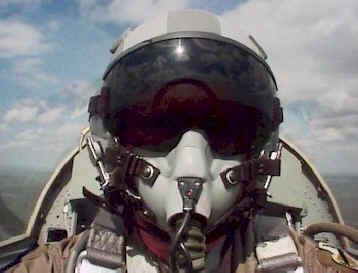 FlyFighterJet.com -- A variety of rides available, including the MiG-29, L-39, Hawker Hunter, and more. Flying Fighters -- Take an adventure flight in any one of a large number of different aircraft types, from jets to Tiger Moth biplanes, in Brisbane, Australia. Fouga Flights -- Aerobatic/recovery training and orientation flights in a Fouga Magister in Kenosha, Wisconsin, USA. Gauntlet Warbirds -- Warbird, aerobatic and tailwheel training center in Aurora, Illinois, USA, that offers flights in an L-39 Albatros jet and an SNJ/T-6 Texan. GoAviator -- Offers rides in a variety of warbirds, in various locations -- many in Europe. Gulf Coast Wing of the CAF -- Fly a B-17, "Texas Raiders" in Houston, Texas, USA. 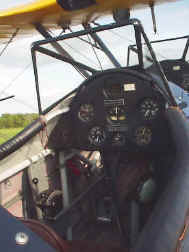 History Flight -- Offers flights in an N2S Stearman, T-6/SNJ Texan, or B-25 Mitchell in Marathon, Florida, USA (and around the country on various "barnstorming" tours.) Flights benefit military MIAs. Incredible Adventures -- Fly MiGs, T-33s, Lightnings, etc., plus many, many other unique opportunities. Into the Blue -- Fly a historic two-seat Supermarine Spitfire TR.9 in the UK. J's Bird -- Offers Harvard familiarization flights in Georgia and other USA locations. Jetride Australia -- Fly an L-39 jet in the scenic Cessnock region near Sydney, Australia. Jet Warbird Training Center -- Familiarization flights and flight training in New Mexico, USA. Jim's Biplane Rides -- Scenic rides in the Portland, Oregon USA area, Columbia River Gorge, and north Oregon coast in a 1929 Travelair E-4000 biplane. Lima Lima -- T-34 flight demo group which also gives rides in Illinois, USA. MiG-29 Flights in Russia -- One of the last, authentic opportunities to fly a supersonic jet fighter! Mustang Flights -- Mustang and Winjeel flights at Caboolture Warplane Museum (near Brisbane), Australia. New Zealand Warbirds Association -- Fly in a selection of airplanes as diverse as a Spitfire, P-51, BAC Strikemaster, a DC-3 and more. Located in Ardmore, New Zealand. OBX Biplanes -- Fly a Waco biplane or T-6 Texan in North Carolina, USA. Olde Thyme Aviation, Inc. -- Old biplane rides in Seattle, Washington, USA. Old Rhinebeck Aerodrome -- New Standard biplane rides in Old Rhinebeck, New York, USA. Pacific Warbirds -- Fly a WWII-era Navy SNJ in Honolulu, Hawai'i, USA, retracing the same routes used by Japanese aircraft when they attacked Pearl Harbor on December 7th, 1941. Re-live history in a totally unique way! Pecos Bill P-51 -- Fly in a P-51 Mustang near Austin, Texas, USA. Preston Aviation -- J-3 Cub and PT-17 Stearman instruction and sightseeing flights at Peach State Airport, Williamson, Georgia, USA. Rocky Mountain Wing, CAF -- Living History Flight Experiences in a TBM Avenger and a Piper J-3/L-4 in Grand Junction, Colorado, USA. Russian Aviation Squadron "Vyazma Rus" -- Fly in an L-39 jet with Russia's leading formation team. Sky Thrills! -- Rides and flight training in a Siai-Marchetti SF-260, Waco YMF-5, and other aircraft. Located in Fullerton, California, USA. Spanish L-39 Jet Flight -- Fly an L-39 Albatros in the skies near Madrid, Spain. Stallion-51 -- Dual-control TF-51 Mustang familiarization flights and full LOA (type rating) checkouts. Stearman-Aero -- Fly a Stearman N2S biplane in Hollister (bay area), California, USA. Southern Warbird Adventures -- Offers adventure flights in a T-6 Texan in Sydney, Australia. Texan Flight -- Fly an authentic SNJ-5 Texan in Northern Virginia and Washington, D.C. areas. Tiger Club -- Vintage, aerobatic and formation flying in the UK. Top Gun Flights -- L-39, Yak-52 and other flights available in Sydney, Australia. Transport Command, Ltd. -- T-6 rides at Shoreham Airport, West Sussex, UK. Vintage Aviation, Ltd. -- Stearman biplane flights in Mack, Colorado, USA. Waldo Wright's Flying Service -- Stearman (and New Standard) biplane flights in various USA locations. Warbird Adventures, Inc. -- T-6 flights and instruction, Kissimmee, Florida, USA. Warbird Aerial Adventures -- Nanchang CJ-6A flights in Wagga Wagga, NSW, Australia. Warbird Aviation -- T-28D Trojan rides and air combat flights in Queensland, Australia. Warbird Aviation Rendezvous, Inc. -- SNJ-5 (T-6) flights in Bloomington, Illinois, USA. Warbird Experiences -- T-6G Texan/Harvard rides in Kent, UK. Warbirds Unlimited -- AT-6C and Stearman flights in Mesa, Arizona, USA. Warbird-Rides.com -- Beechcraft RC-45 (Twin Beech) flights and transition training in Stockton, California, USA. War-Bird Squadron -- Mustang, Spitfire, and Bf-109 combat flights in the USA, UK and Spain. Waterloo Warbirds -- Fly in a T-33, L-29 Delfin, or a deHavilland Vampire jet in Breslau, Ontario, Canada. West Texas Wing, CAF -- Take a ride in the world's only airworthy Curtiss SB2C Helldiver. "Wings of Freedom" Flight Experiences -- B-24, B-25 and B-17 bomber flights with the Collings Foundation in the USA. Wings Over Greenville -- Fly a Boeing PT-17 Stearman in Greenville, South Carolina, USA. WWII Airplane Rides -- T-6 / SNJ-4 rides over the Grand Canyon, Las Vegas, Hoover Dam, etc., operating out of Boulder City, Nevada, USA. American Airpower Museum, Farmingdale, New York, USA. Historic C-47 flights, as well as flights in a T-6 Texan and Waco biplane. Arizona Wing, Commemorative Air Force, Mesa, Arizona, USA. Flights available in an SNJ, C-45, B-17, and O-2. Canadian Warplane Heritage Museum, Hamilton, Ontario, Canada. Offers Stearman and Harvard flights. Cavanaugh Flight Museum, Addison, Texas, USA. Offers rides in multiple fighters, bombers, trainers and even helicopters. Collings Foundation, Stowe, Massachusetts, and Houston, Texas, USA. Offers flights in B-17, B-24, P-51, A-4, and F-4. Dixie Wing, Commemorative Air Force, Atlanta, Georgia, USA. Flights available in a P-51 Mustang, SBD Dauntless, RAF Expeditor VIP Transport and a PT-26 Trainer. EAA AirVenture Museum, Fantasy Flight Camps, Oshkosh, Wisconsin, USA. Flights available in a B-17 Flying Fortress and other aircraft. Flight of the Phoenix Aviation Museum, Gilmer, Texas, USA. Rides available in a T-6 Texan. Flying Tigers Warbird Restoration Museum, Kissimmee, Florida, USA. Genesee Warbirds, Batavia, New York, USA. Offers experience flights in classic jet warbirds. Historic Aircraft Restoration Museum, St. Louis, Missouri, USA. Historic Flight Foundation, Mukilteo, Washington, USA. Flights available in a F7F Tigercat, B-25 Mitchell, T-6 Texan, Beech Staggerwing, and more! Legacy Flight Museum, Rexburg, Idaho, USA. Flight training available in the T-6 Texan. Lone Star Flight Museum, Galveston, Texas, USA. Flight experiences are available in a B-25 Mitchell, B-17 Flying Fortress, and Boeing PT-17 Stearman. Mid-Atlantic Air Museum, Reading, Pennsylvania, USA. Historic flights available in a PT-17 or SNJ. Planes of Fame, Chino, California, and Valle, Arizona, USA. Tennessee Warbirds Flying Museum, Memphis, Tennessee, USA. Warbird Adventures Aviation Museum, Mareeba, North Queensland, Australia. Rides in various warbirds are available, including a CJ-6, Winjeel, Harvard, T-6 and P-40 Kittyhawk. Warbirds West Air Museum, El Cajon, California, USA. Flights available in a T-34, T-28, C-45 and L-29 Delfin jet. Wings of Dreams Aviation Museum, Keystone Heights, Florida, USA. Tailwheel instruction available in a 1945 Piper L-4J Grasshopper once assigned to Patton's 3rd Army. Wings of Eagles Discovery Center, Horseheads, New York, USA. Offers 30-minute flights in a T-6/SNJ, Stearman, and PT-19. Yankee Air Museum, Belleville, Michigan, USA. Flights available in a B-17 Flying Fortress and B-25 Mitchell bomber. Classic Jet Aircraft Association (CJAA) CJAA's members collectively operate over 300 ex-military jet aircraft. Commemorative Air Force (CAF) The Commemorative Air Force (formerly Confederate Air Force) is dedicated to preserving flyable examples of WWII aircraft. They operate over a hundred aircraft in dozens of locations around the world, and are always looking for new members. You do not have to be a pilot to participate. Numerous CAF subgroups and units all over the world can be accessed through their Web site. EAA Warbirds of America (WOA) WOA, a division of the Experimental Aircraft Association, was formed in response to the large number of EAA members who owned surplus military aircraft. Several chapters have been formed around the world. Valiant Air Command (VAC) The VAC, based in Florida, is another large group of dedicated, friendly warbird operators. to keep this list as accurate and useful as possible. Thanks for using our Amazon links when you shop. Doing so helps support Warbird Alley!